City of Delaware officials said demolition of the Sheets Building, left, would allow them to add more parking spaces and widen the driveway to the parking area behind the structure. The Historic Preservation Commission voted unanimously Wednesday to table the City of Delaware’s request for a Certificate of Appropriateness for the demolition of the Sheets Building, 20 E. William St. The structure has been part of the downtown landscape since the 1880s and was formerly the home of the city’s engineering department. A decision concerning the fate of the former City of Delaware Engineering Building at 20 E. William St. is still pending. 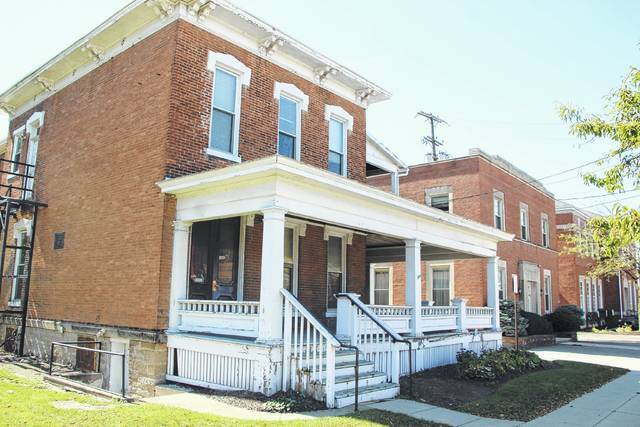 That’s because the Historic Preservation Commission voted unanimously Wednesday to table the city’s request for a Certificate of Appropriateness for the demolition of the downtown structure built circa 1880. Also known as the Sheets Building, the city-owned structure, which lies in the Transitional Sub-District of the Downtown Historic District Overlay, has been vacant since 2015 when the city’s engineering offices were moved to 440 E. William St.
“Obviously, we are requesting to demolish a building in the historic district, which we never take lightly,” City Planning & Community Development Director Dave Efland told commission members. He added that the demolition request meets one of the two requirements for demolition outlined in the city’s zoning code in the respect that there is no longer an economic use for the building. City staff plans presented to the commission state the demolition of the building would allow for the total number of parking spaces on the property to increase from 20 to 29 or 30, while also increasing the width of the driveway into the property to allow cars to enter and exit at the same time (currently only wide enough for one vehicle at a time). “Right now, practically speaking, the public does not access this parking lot,” he said. 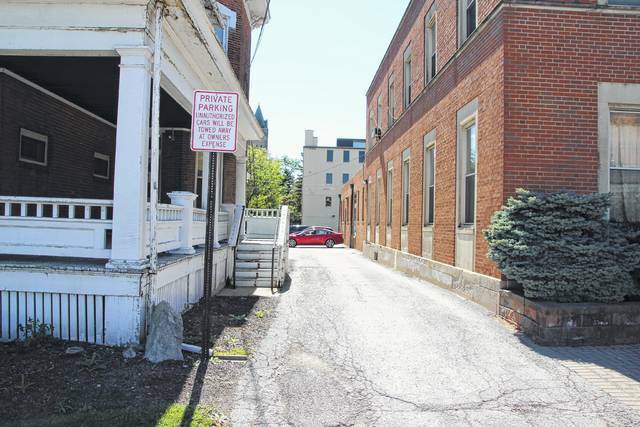 After hearing of the city’s plan for the property if demolition is approved, commission members expressed concerns over the idea of tearing down a historic structure to make way for a parking lot. Commission member Mark Hatten said he doesn’t believe the city’s request meets either of the two criteria (only one must be met) for demolition. The commission also argued it doesn’t believe the structure is unsound; the demolition request could set a precedent; and the additional parking spaces won’t solve the parking issue. Homan responded to the concerns by saying the city didn’t submit the demolition request on a whim. Instead of demolishing the structure, commission members offered other possible uses: selling the building for use as a bed and breakfast, etc., or tearing down the back portion of the old Gazette building (loading dock area) to allow for additional parking spaces and better traffic circulation throughout the City Hall campus parking lot. Homan said the city has considered demolishing the back portion of the old Gazette building, but from an economic development standpoint, the city is in talks with a company interested in using the city-owned space for its co-working business. City Economic Development Director Sean Hughes confirmed that COhatch, a Worthington-based company that offers its members co-working space ranging from open desk space to private office space, is the company interested in the old Gazette building. The next Historic Preservation Commission meeting is scheduled for 7 p.m. on Oct. 25 in city council chambers.